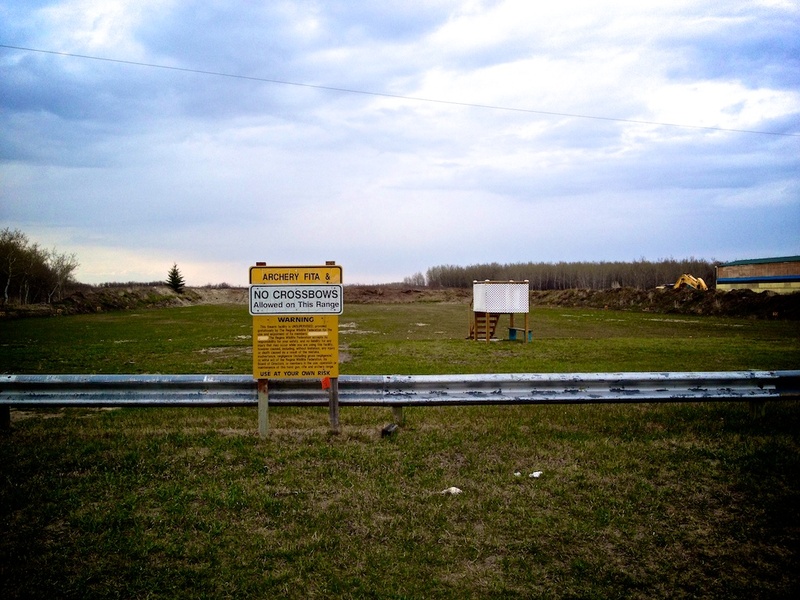 The outdoor field range as well as the outdoor walking range are both located at the Regina Wildlife Federation. This facility is located east of Regina (north of White City). The use of these outdoor ranges requires a separate membership with the R.W.F.. Upon becoming a member, you are provided with a Prox card that allows access through the security gate. Field range distances are 10m to 90m, while the walking range consists of 12 targets are various ranges. Regina Wildlife Federation membership is required (General Membership). 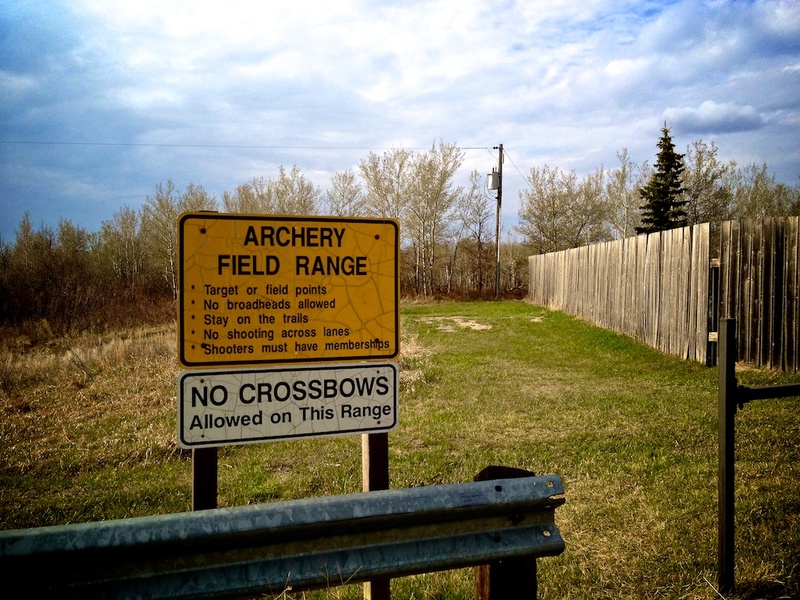 You are not allowed to shoot Crossbows, broadheads or other firearms on the FITA field range (the wide flat one), nor on the walking range. If you took targets out of the shed, then ensure they are put back and the door securely closed. 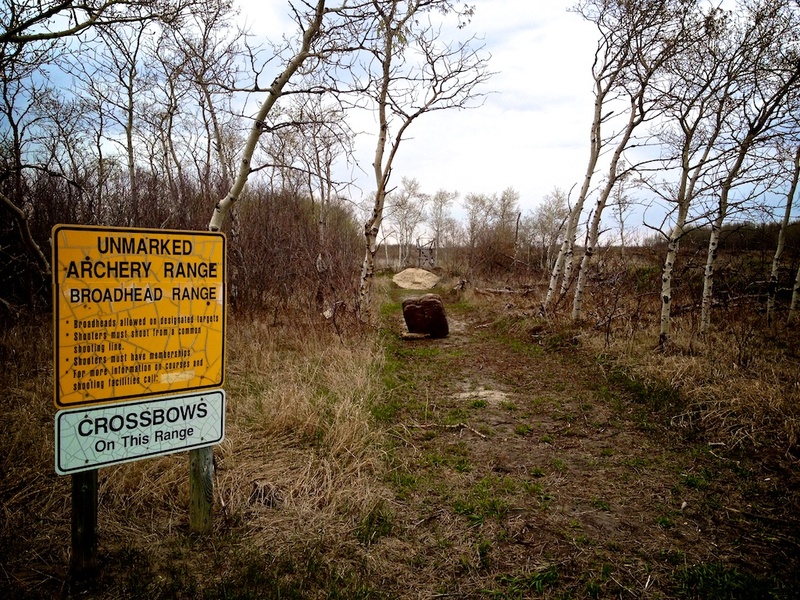 The RWF has a dedicated crossbow and broadhead range located just west of the FITA field range. This is the only location at the RWF that you can shoot crossbows or broadheads. This range requires that you provide your own target. If you notice any unsafe conduct, abuse of facilities or potential hazardous situations – attempt to resolve the situation immediately or report it promptly to a member of the Regina Wildlife Federation Executive (Phone: 306-359-7733).